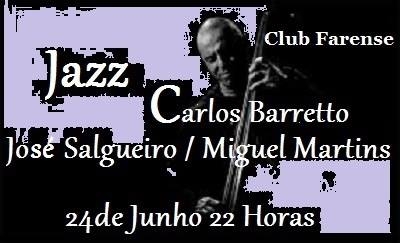 Another night of great jazz music at Club Farense in Faro. The Kaleidoscope lineup is led by Miguel Martins and includes bassist Carlos Barretto and drummer José Salgueiro, with whom he recorded 'The newcomer', which was considered one of the best Portuguese jazz albums of 2007 by jazz.pt magazine. For more information call (+351) 289 824 219.